Classic and yet modern, the Melbourne Bridal Necklaces will capture your inner beauty. The fresh blooms will bring out the Melbournian in you with its artistic and yet delicate design. Five flowers interlock between crystals with a filigree chain. 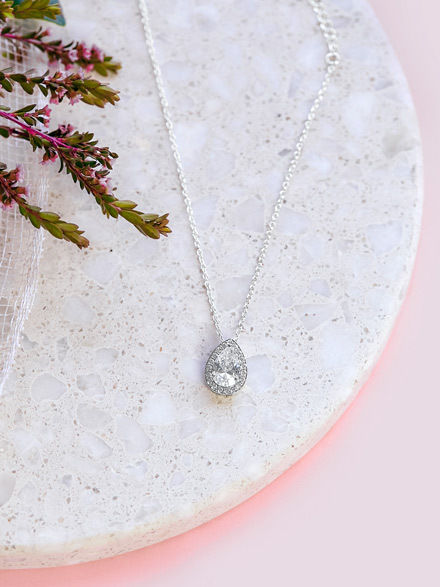 When you find yourself looking for bridal necklaces that is simple, classic and yet modern, well the Melbourne range is just that. 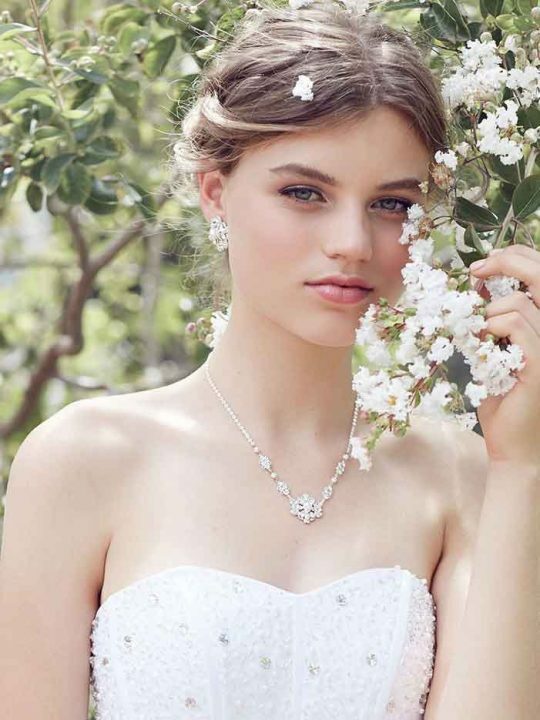 The Melbourne Bridal Necklace is uncomplicated and graceful just like your wedding day should be… will be, will be!. The five rose setting settles to point therefore highlighting the face and bringing all the attention to all the right places. The Hello lovers bridal necklaces are like a piece of art work on their own and are made in the very city they are named after. Size: Flowers are 1cm, the chain is 50 cm long including 5cm adjustable end. The necklace is packaged in our signature pink silk Hello Lovers box. Match this cute headband with the just as cute Melbourne Bridal Earrings or the Melbourne Bridal Bracelet for an overall wedding day ensemble. Bridal jewellery by Hello Lovers.